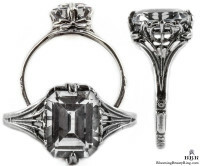 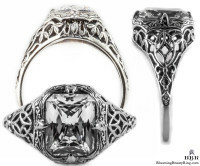 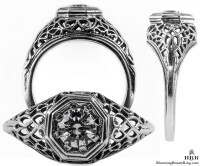 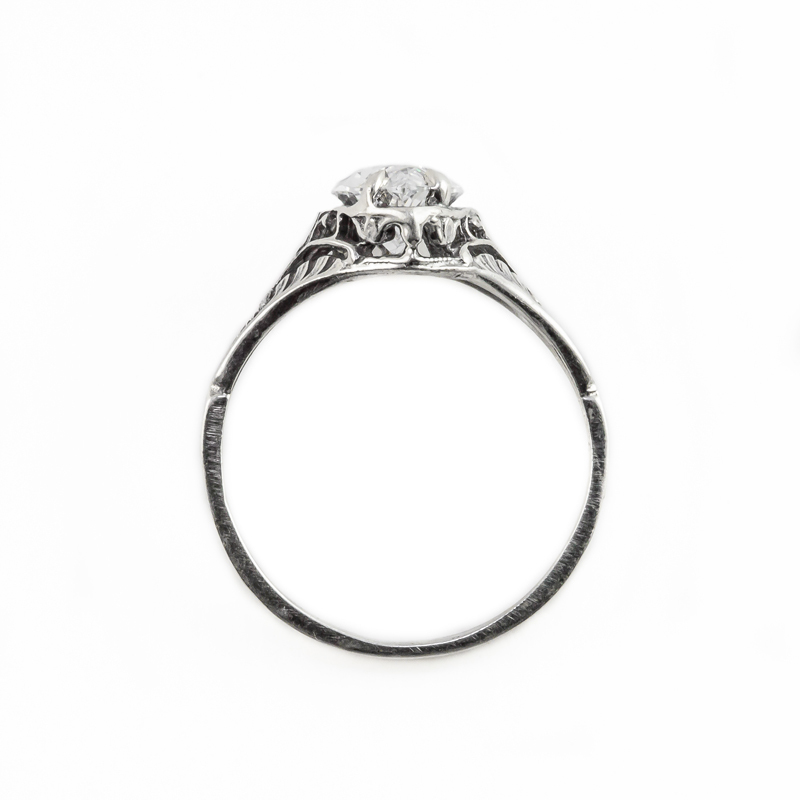 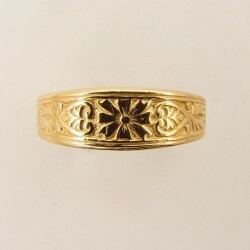 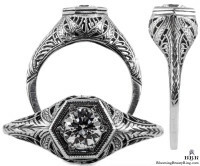 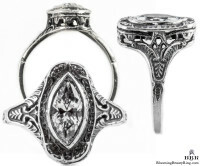 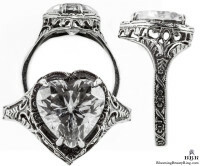 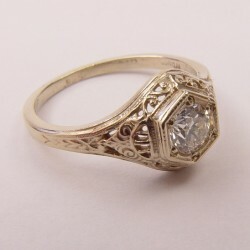 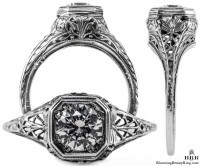 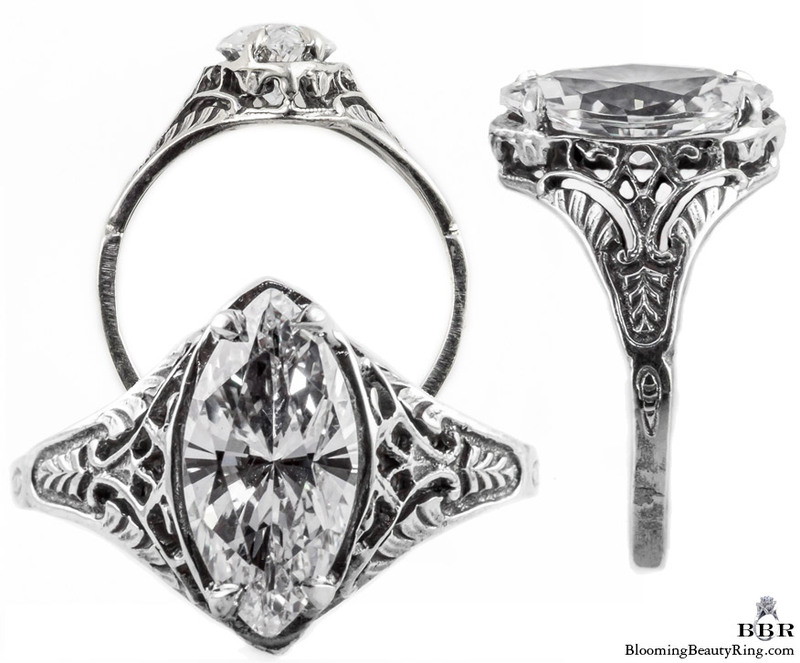 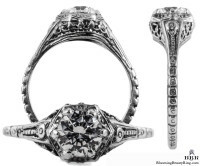 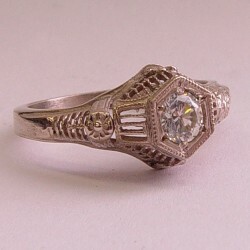 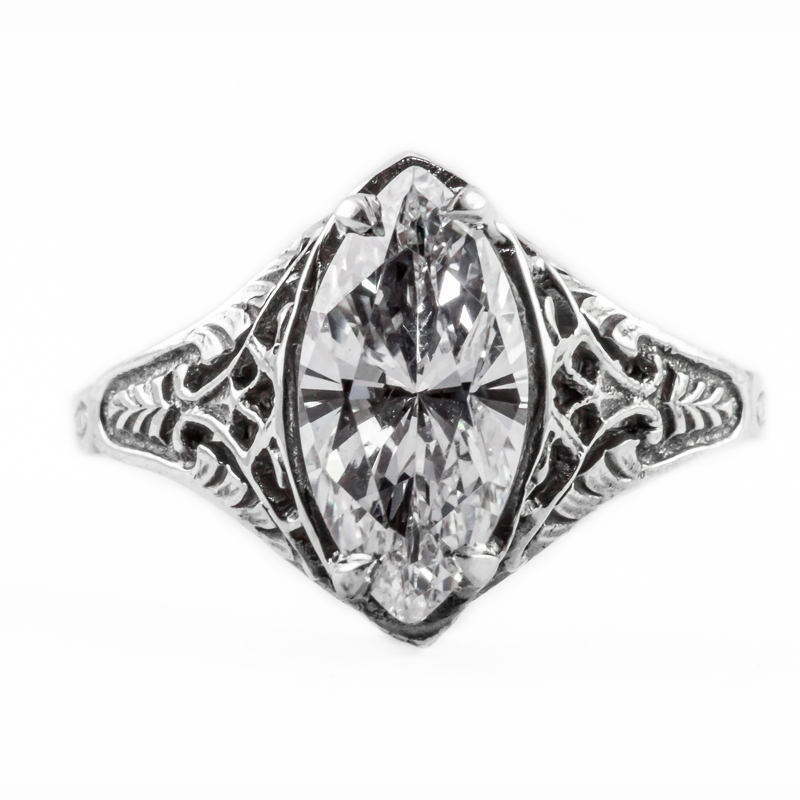 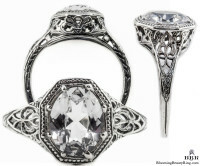 Vintage, antique designed, filigree ring with exquisite scrolls and fan-like details around the setting. 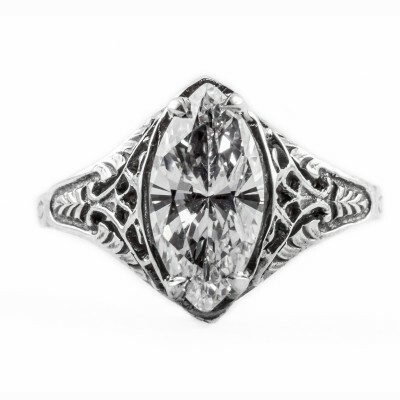 Weight: 1.50 dwt Shipping Cost: Shipping is free to the Continental U.S. International shipping is not free and you should call first before ordering. 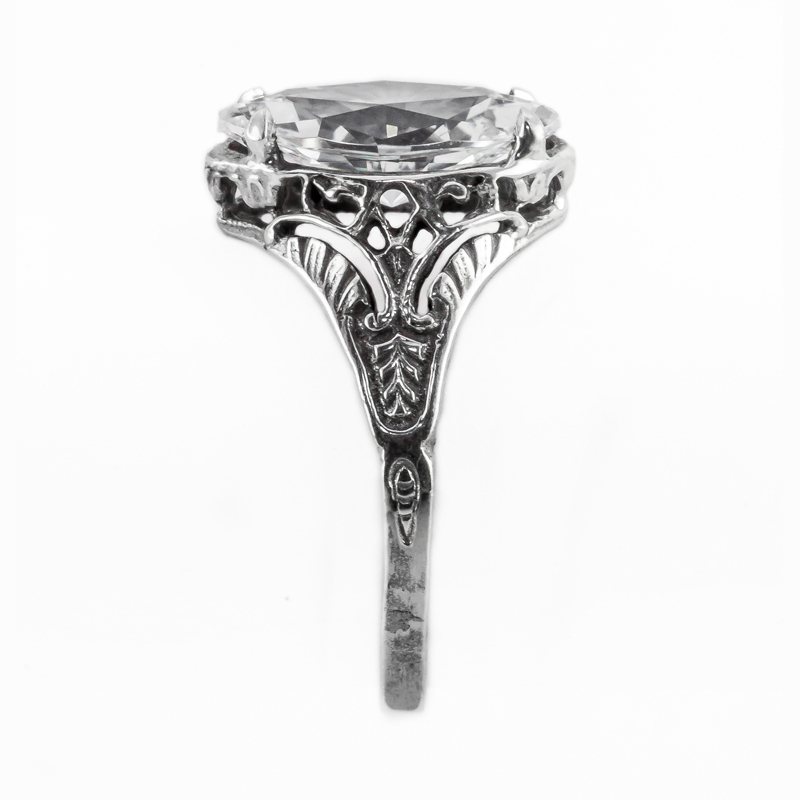 Min / Max possible size of a center diamond or gemstone: 1.57 ct. to 1.67 ct. / 12x6mm Ring Box: You will receive a beautiful ring box with your order. 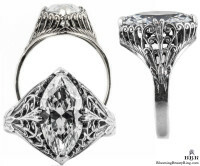 Will work with these shapes for the center diamond or gemstone: Marquise Condition: This ring is made to order and will be absolutely brand new.